Or so Tyler Johnson thinks. Heâ€™s never had much, if any, of it thrown his way. A chance meeting with the enigmatic Jaxon Markham causes Ty toâ€”if still not believe in loveâ€”at least know without a doubt that lust is alive and well. Tyâ€™s not looking for forever, but whatâ€™s the harm in spending a few daysâ€”and scorching nightsâ€”with Jax; as long as Jax plays by his rules and keeps things casual and uncomplicated? Jax knows his luck has finally changed for the better when he lays eyes on Tyler. The man is gorgeous, and stirs feelings in Jax heâ€™d thought heâ€™d never experience. The more time Jax spends with Ty, the more certain he is that Tyâ€™s his soulmate. Now all that remains is convincing the stubborn Tyler of that fact, but Jax is more than up for the task, because heâ€™s nothing if not persistentâ€”a fact the elusive Tyler will soon find out. 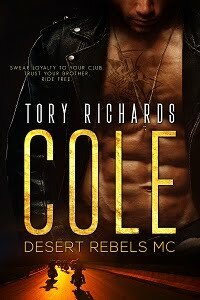 Jax quickly, and much too easily, demolishes all of Tyâ€™s protective walls and Ty reluctantly begins to think that maybe that intangible emotion called love is alive and well after all, and perhaps finally within his grasp. However, when his ugly past returns to haunt him, making him doubt all the good heâ€™s experienced with and because of Jax, Tyâ€™s positive outlook crumbles, giving way to doubt and despair. Can he be the man Jax needs and deserves? Or will past and present demons destroy Tyâ€™s one chance at true happiness? Get your copy of Worth The Risk today. Visit theÂ Worth the Risk Tour PageÂ regularly for updates. November 16 - January 28, 2017. C. J. is first and foremost an avid reader of romance.Â Nothing is better than watching two strong-willed people meet, connect and work through personal challenges and fight to overcome internal and outside obstacles to be together. C. J. is a southerner who believes that love is love, and if youâ€™re ever lucky to find it, you should hold onto it with both hands and feet.Â C.J. writes love stories filled with emotion and hopes youâ€”the readerâ€”will enjoy them as much as C.J. enjoys creating them.